^2 as the first councilor, replaced vice mayor Bonifacio Virtudes Jr.
Jagna, officially the Municipality of Jagna, (Cebuano: Lungsod sa Jagna; Tagalog: Bayan ng Jagna), is a 3rd class municipality in the province of Bohol, Philippines. According to the 2015 census, it has a population of 33,892 people. Jagna is located on the southern coast of Bohol. It is one of the commercial trading centers of the province with daily market and port operations. Of interest to visitors is the town church built during the Spanish era, with its ceiling frescoes and baroque architecture. A waterfall and a spring reservoir can be found on the highlands, accessible by road travel north. A marine sanctuary zone has been set up by the local government just off the shore. A double reef is protected inside the sanctuary zone and marked off by buoys to restrict access from fishers. Like Tagbilaran, Jagna is a port town. Ferries travel daily to and from other islands. Routes to Mindanao are available via Cagayan de Oro and Butuan. The island of Camiguin is visible from Jagna and a ferry operates from Jagna to the port of Balbagon in peak season. The town celebrates St. Michael's festival on 29 September. Highlights are cultural activities such as parades and street dancing. The month of May is also of interest, especially to returning Jagna-born Filipinos from across the islands and abroad. Celebrations of barangay fiestas occur almost everyday. On 24 January 1744 an Italian Jesuit curate in charge of the town parish was killed by a native insurgent known as Francisco Dagohoy. This event signaled the beginning of the Dagohoy Rebellion – the longest uprising in Philippine history. The Lonoy Massacre in 1901 was a bloody American surprise attack launched on Filipino insurgents – the latter being led by Captain Gregorio Caseñas[a] – which were killed over 400, in the Philippine-American War. It was fought in the mountain village of Lonoy, north of the town proper. A major earthquake devastated the town in 1992. The local residents were evacuated to the nearby hills for a few days, as local authorities warned of a possible tsunami that might hit the coastal area. However, no such event happened. Some damage occurred to the church bell tower by the earthquake but has been completely repaired. Jagna has a new market; the last one burned down in 1998 and a temporary market was set up in the grass field across the church. The new market is in operation – built on the site of the previous one that burned down. A recreational plaza is recently in construction on the grass field that was once the temporary market area. ^ "Province: Bohol". PSGC Interactive. Quezon City, Philippines: Philippine Statistics Authority. Retrieved 12 November 2016. ^ "Jagna Mayor Fortunato Abrenilla, 69, dies of cardiac arrest". Inquirer.Net. January 14, 2019. Retrieved January 14, 2019. ^ "Jagna Feast Dayof St. Michael the Archangel". "www.bohol-philippines.com". Retrieved February 14, 2019. 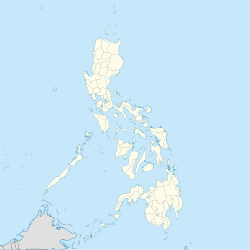 ^ "Province of Bohol". Municipality Population Data. Local Water Utilities Administration Research Division. Retrieved 17 December 2016. Wikimedia Commons has media related to Jagna.